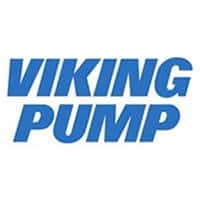 Atlantic Pump distributes the complete line of Viking Pump in Maine, including Industrial Pumps, +parts, accessories, +strainers, reducers, and maintenance kits. Viking Pump and Atlantic Pump share unrivaled expertise in engineering pump solutions with rotary positive displacement pumps. Whether you need local inventory or support for Viking Pump’s PD pumps, Atlantic Pump can meet your needs. As a factory-trained distributor stocking Viking Pump products, Atlantic Pump is here to assist. Whether the task at hand calls for a simple solution or the most advanced, Viking Pump offers products uniquely designed for the situation. Viking Pump provides a positive displacement pump solution for every industry. With a distinctive manufacturing agility, Viking Pump PD pumps move materials that transform our world – thin to thick, cold to hot, solid to liquid. Viking Pump, a subsidiary of IDEX, is a leader in rotary PD pump solutions offering over 100 years of experience. We offer complete product specifications online for you to download at your convenience at the link below. Factory authorized maintenance facilities for Viking Pump products in Maine, and throughout the Northeast. +Positive Displacement (PD Pump) or Centrifugal – Which One Do You Need?